Caroline hasn’t had a good night’s sleep in months. She was able to fall asleep, but after an hour or so, she’d wake up with her head itching like crazy. If she was able to go back to sleep – and sometimes this was impossible – Caroline would wake up again ... and again. The itching wouldn’t let up and she was becoming short-tempered and depressed. Her doctor examined Caroline’s scalp carefully, but could find no trace of anything that might cause itching. Since she had overall dry skin and hair, her doctor suggested a strong dandruff shampoo. It didn’t work. Then a nurse friend suggested the itching might be due to an allergy. So she took an antihistamine. This seemed to help a little. But Caroline didn’t want to rely on a drug – even one with minimal side effects – to solve the problem. “What kind of pillow do you sleep on?” her friend continued. Caroline was shocked to hear that she may have been sleeping in a bed crawling with mites. Unfortunately, this is true for many of us. It turned out that dust mites were the cause of her itchy scalp. You might find these critters are the source of your asthma and/or allergies as well. How do you know if your pillow has mites? Wherever there’s dust, warmth, and food, there are dust mites. And all beds are a prime habitat. If your pillow is older than two years, it contains mites. And if you’re sensitive to the waste products they produce, dust mites can affect your health. An older mattress may contain from 100,000 to 10 million mites. Around 10% of a two-year-old pillow’s weight is comprised of dead mites and their droppings. Plus live mites. Unlike bed bugs, dust mites don’t bite. They simply eat and produce wastes to which many people are allergic. One of their favorite foods is dead skin – from humans and pets. In Caroline’s case, the heat from her head on her pillow, combined with dry skin, attracted enough mites to cause itching. In fact, Caroline admitted that at times she would wake up feeling like something was crawling in her hair. It turns out that there were. • Wash your sheets and blankets frequently in very hot water — at least every two weeks if possible. Set your washing machine to its hottest setting. If you have something that can’t be washed in hot water, put it in a freezer for two days to kill the mites. • Replace feather and down bedding with synthetic fillings whenever possible. • Keep your bedroom as dust free as you can. • Reduce dust by using a HEPA filter air purifier. What about your favorite down comforter? Well, you might be able to cram yours in the freezer periodically. And if the mites aren’t bothering you, you might decide to keep using it. But if you have allergies, asthma, or unexplained itching, it could be time to find a synthetic alternative. 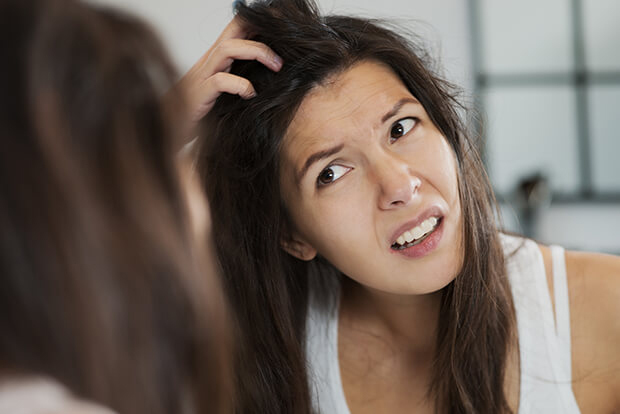 While dust mites can cause an itchy scalp, there’s another type of mite that can affect other parts of your body. And this mite isn’t in your pillow. If you have a rash in some of the many folds in your body (around your middle, between your toes, and in your groin) you may have scabies. This is a nasty skin infestation. 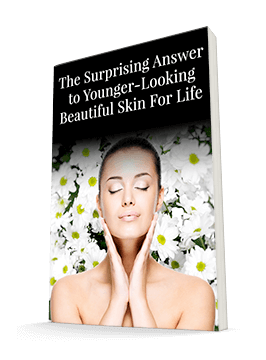 Tiny mites called Sarcoptes scabiei get on your skin and burrow down into the outer layers. Your skin gets highly irritated by the invasion. The burrowing and newly laid eggs inside the skin leads to relentless itching and an angry rash. What’s worse is that this infestation is highly contagious. How contagious? You can get scabies by direct contact with someone who has these mites or by contact with contaminated clothes or bedding. You can even get this annoying itch by shaking hands with an infected person. Or you can get it by sexual contact. A dermatologist can identify scabies mites and treat them with expensive prescription or over-the-counter liquids or creams. But if you have reason to think you have scabies, you may want to try applying a topical essential oil to the rash. It could save you a trip to the doctor. This treatment is not new. We’ve used various essential oils for years to kill various mites, ticks, lice, and mosquitoes. Different oils work better to treat different critters. A recent Australian study found that the major component in clove oil may be the best one to get rid of scabies mites. In fact, in this study, clove oil killed all mites in just 15 minutes! To use clove oil for mites, mix a few drops with some vegetable oil. Test the mixture on a small area to make sure it doesn’t irritate sensitive tissues. Clove oil has analgesic, anti-inflammatory, and antibacterial properties. Other essential oils also may work and are safe to try. If they don’t work for you, it’s time to see your doctor. Your rash may not come from scabies mites or you may be reinfecting yourself with your clothes. If so, follow the directions for dust mites to make sure your clothes, sheets, and towels don’t give them a place to hide. You can buy clove oil at any health food store or on the Internet. If you want to fight scabies and other mites with other natural treatments, there are three other options you can try. The first is tea tree oil. It relieves the itching and heals the rash on the skin, but it doesn’t work as well on the eggs deeper in the skin. I prefer to use tea tree oil on clothes and bedding to kill the mites. Simply add a few drops to a squirt bottle and spray it on. In addition you can put three to four drops of tea tree and/or peppermint oil into the washing soap dispenser in your washing machine. One review study from 2016 found that tea tree oil is especially good for treating cases of scabies that did not improve using typical treatments. It is possible to be allergic to tea tree oil. So if you develop an allergic reaction, stop using it. Second, you can try neem. Neem has anti-inflammatory, antibacterial, and analgesic properties. Researchers have found that the active components of neem can kill scabies in laboratory tests. One study from 2008 found that using neem seed extract shampoo successfully cured dogs of their scabies. It took about seven days for the dogs to show improvement. And after 14 days of using the shampoo, eight of the dogs were totally cured, and the remaining two dogs only had a few mites. Finally, one of my favorites for treating many skin issues is aloe vera. Aloe can alleviate itching and kill scabies. A 2009 study found that an aloe gel worked as well as benzyl benzoate (a common prescription treatment) in treating scabies. And there weren’t any side effects. Queensland Institute of Medical Research; Article URL: http://www.medicalnewstoday.com/articles/200380.php.